Sometimes a great partnership begins with a simple question: Who do you know that I don't? 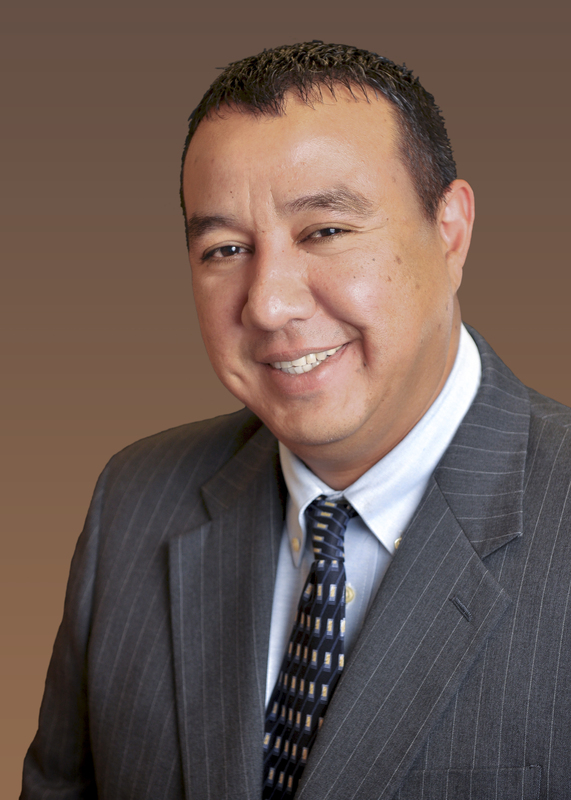 "When we meet someone, we always ask that," explains Pedro Cons, executive vice president of Chicanos Por La Causa, a 47 year-old social service agency and housing developer in the southwestern United States. Two years ago that question led the agency to approach UnitedHealthcare, a national health insurance carrier. The first get-to-know-you meeting quickly led to innovative projects aimed at improving health in a high-need area for both organizations – the Maryvale neighborhood of Phoenix, Arizona. But for the partners, improving health doesn't just mean better access to medical and mental health care – it means GED classes, affordable housing, public benefits enrollment, employment counseling – and even a business wardrobe. 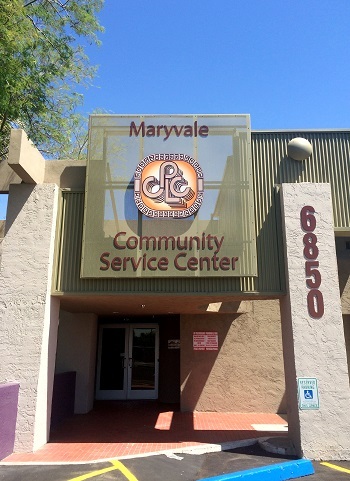 All of these services and more are now available at a single Maryvale service center staffed by UnitedHealthcare, Chicanos Por La Causa and partner organizations. "As a country, we're beginning to realize that many factors matter to health," says Cons, pointing to an analysis by County Health Rankings, a program of the Robert Wood Johnson Foundation. It determined that only 20 percent of a person's health can be attributed to the quality of medical care. Another 30 percent is due to health behaviors like exercise and nutrition and the rest to social and environmental factors such as employment, income, education and housing quality. "If we address all of these determinants of health," says Cons, "we'll make a healthier society." Maryvale is a neighborhood of inexpensive homes built in the 1950s and 1960s on Phoenix's flat, desert landscape northwest of the central city. The original owners were mainly white and middle income. But beginning in the 1970s, a suburban housing boom lured many away and today the diverse, low-income community of 210,000 is mainly African American residents, Mexican immigrants or refugees from the Middle East or Africa. Chicanos Por La Causa opened its first counseling site in Maryvale about 1980 and gradually added other services, such as workforce development and GED classes, at nearby locations. It also rehabbed, built and managed affordable housing. But a federal grant won in 2010 gave it an unprecedented opportunity to create a "one-stop shop," not only for its own services, but for a medical center, a dental clinic and services provided by partner agencies. Using the grant, the group bought a 30,000 square foot dilapidated fitness center in a strip mall at Maryvale's north end and renovated it beautifully. For clients with many urgent needs, from domestic violence to unemployment, depression or substance abuse, co-locating services not only makes it easier to schedule time for care amid "the whirlwind issues of their lives," Cons explains, it removes the biggest barrier to care – transportation. Searching for project partners, in 2011, Cons was steered by a well-connected consultant towards an arm of UnitedHealthcare that provides coverage for those who qualify for Medicare, Medicaid or the Children's Health Insurance Program. The agency was already looking for innovative ways to improve health, and about 20,000 of its highest-needs clients lived within about a 5-mile radius of Maryville. Early in 2012, an executive team from Chicanos flew to Minneapolis to meet UnitedHealthcare leaders for "an open-ended discussion," says Cons. "We described our mission, vision, services. Then we listened to our potential partner's needs, and we looked to connect the dots." At the meeting's end, UnitedHealthcare invited Chicanos to pitch an initial project. We "asked for the moon," Cons recalls, but soon settled on a more modest idea: UnitedHealthcare's IT department would develop computer software to help the new Maryvale Community Service Center track its clients and service referrals. While the data system was in development, the new partners looked for a quick win. They recruited 50 low-income diabetics on UnitedHealthcare insurance with at least three emergency room visits in the past year. 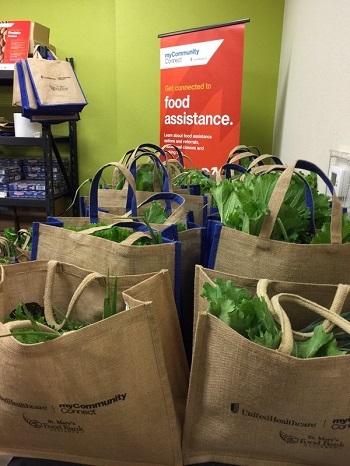 Once a week for six months, each was supplied with a box of fresh fruits and vegetables grown by local farmers, purchased with funds from UnitedHealthcare and distributed by St. Mary's Food Bank, which is now located at the center. UnitedHealthcare even hired a chef to visit the food bank and demonstrate how to prepare the recipes. Cons says the pilot surpassed expectations: 95% of participants showed up each week and significantly reduced their blood sugar levels and emergency room visits. 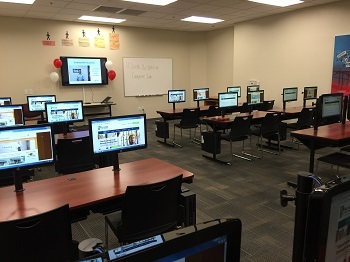 The partners will soon expand the program to serve 500 clients. 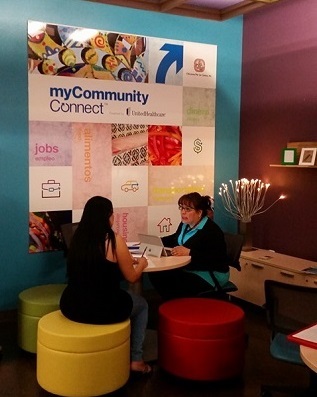 UnitedHealthcare decided to deepen its participation in the myCommunity Connect project and help staff the center, which opened in November 2015, with a housing navigator, an employment navigator and a project coordinator. Chicanos Por La Causa, in addition to its own services, also provides three community health workers to case manage clients. On the center's goals and service-delivery, the two organizations share decision-making, says Cons. "My staff takes direction from them as well as me. We have a true partnership." Clients enter the center through a spacious lobby with walls painted in vivid southwestern hues. Three community health workers are stationed there at a desk, ready to greet and assist anyone who walks through the door. A health worker wielding a laptop or tablet guides the newcomer to one of the partitioned areas at the back of the lobby. There they sit together at a small round table, each on a colorful, cushioned pod. The playful atmosphere is meant to set clients at ease, explains Ashley Lopez, one of the health workers. We say, "So tell me, what are you looking for? Then we go into depth on why they need that service." The client may have more needs than the one immediately stated, she explains. Someone in search of affordable housing might be out of a job. Someone struggling to find a job might do better if they got a GED. "We come up with a comprehensive action plan," she says, "and we connect them to services." One woman who came to the center for mental health counseling had been incarcerated for a couple of years, was barely literate and struggling to find employment, says Lopez. "We gave her a list of companies that were felon-friendly." Then they referred her to Dress for Success, a non-profit that supplies second-hand business attire to low-income women and visits the center regularly in its mobile van. Dressed in her interview suit, the woman soon secured a job in a prison laundry. Once employed, the housing navigator found her an affordable apartment. Another man, from Mexico on a work permit and newly divorced, showed up desperate for work. The employment navigator coached him on resume-writing and practiced mock interviews while another partner, St. Joseph the Worker, supplied him with a bus pass and three business suits. Within weeks, he landed a job as a personal banker at Wells Fargo for $15 an hour and "came back to give us all hugs," says Lopez. Beyond the services at the center, the community health workers refer clients to 25 partners throughout Phoenix using the electronic referral system UnitedHealthcare built. Clients are often hesitant to contact unfamiliar agencies, so instead, partner agencies that receive the electronic referral quickly contact the client, describe services and schedule an appointment. In the system, the health worker can easily see whether an appointment was kept, and if not, follow-up with further assistance. Getting to know each other led to further unexpected collaborations. 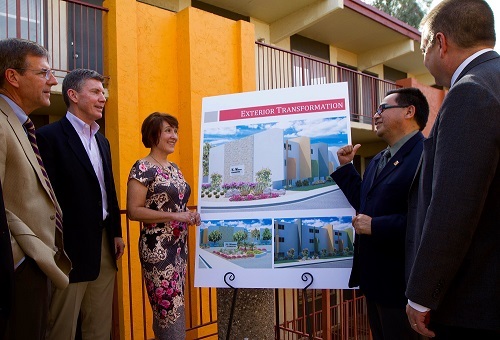 Chicanos Por La Causa CEO David Adame had an exciting deal in the works – renovating 500 rundown apartments in the Maryvale neighborhood to serve people with a mix of income levels. Some of the apartments would be rented to the center's clients at reduced rates, while market-rate rents on other apartments would generate funds to sustain the center's services. Learning that UnitedHealthcare routinely invested in low-income housing as a tax write-off, Cons requested a $20 million low-interest loan. "They were fascinated with the idea of improving living conditions while supporting the center," he recalls, and they quickly proceeded with the loan. The center began referring clients to the completed apartments on September 1. “With UnitedHealthcare financing for the renovations, we’re able to offer clients healthy, safe homes at rents they can afford,” Cons reflects. 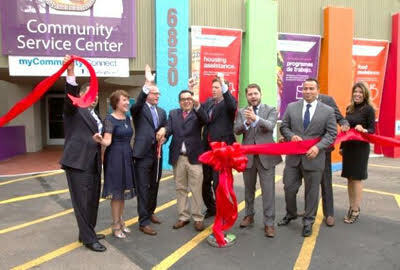 Comments on "Playing Matchmaker for UnitedHealthcare and an Arizona Neighborhood"